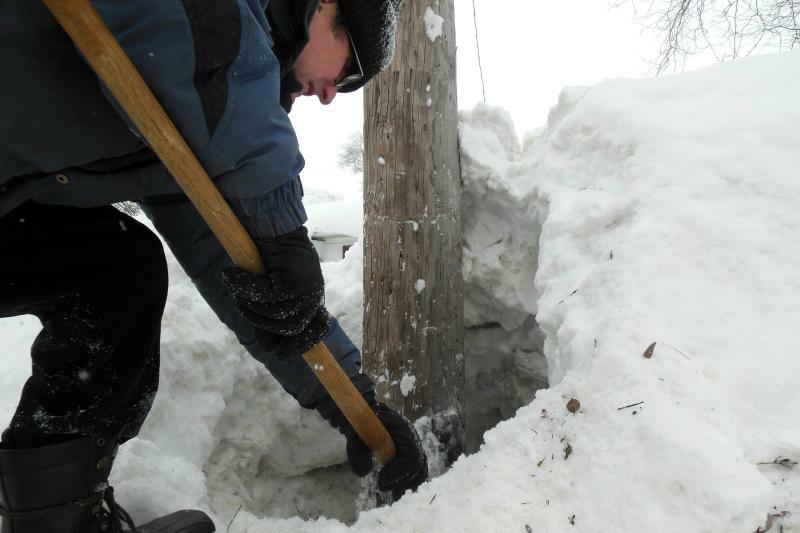 It took Robert Lyons around a half an hour to dig all the snow away from this utility pole where he thought the medallion was. He ended up finding it about 60 feet down the road. 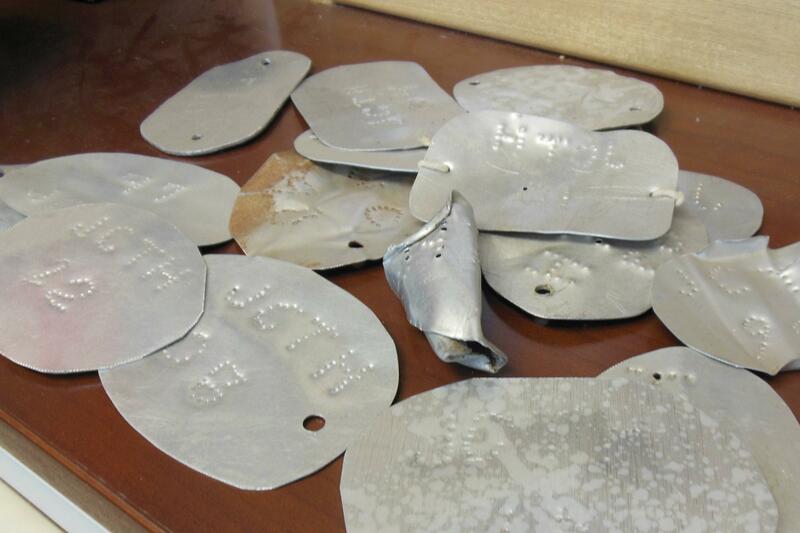 Aluminum medallions from past years' treasure hunts. Joe Cramer, aka "The Wyoming Riddler," shows part of the this year's prize. But persistence paid off for Lyons this year. He’s searched for the treasure every year for 25 years and only won one other time. Way to go Robert! Robert and two of his grandkids finally walked an extra 60 feet from where they had been looking for two months and nabbed the medallion for the win and the treasure of silver collector coins. The medallion was hanging from a sign located on 56th street in Wyoming between Haughey and the bicycle path right next to Buchanan. Here’s Cramer’s last riddle along with clues he released along the way. Perhaps riding a bicycle, perhaps not. But how he got there is important. He knew that it changed a lot of things. If you are the first one to know, you'll find it. If you look, that is. "It is near a sign of change, somewhere South of 28th , in between Grandville and Kentwood. Question: Why? Exclamation: Oh! Vase: Ming. Everyone clear on that? OK! "You can get there either way. Number one and two others between two and nine will help in two ways. But, never all three together. Between hints in the riddle, it's there. Amongst the clues, even closer to where. 156, but not all together. To keep it fair: two mean him, two mean there. Anyone can solve the Wyoming Riddle using only a detailed street map of the Grand Rapids metro area. But as Lyons told me last month, "You can solve from the comfort of your home all you want, but you can’t win unless you get out there and you know, keep looking and digging,” Lyons said. It changed a lot = James Buchanan began debate regarding abolition of slavery. "Hope you enjoyed the search during the past 33 years. I hope to challenge you in another way sometime in the future." 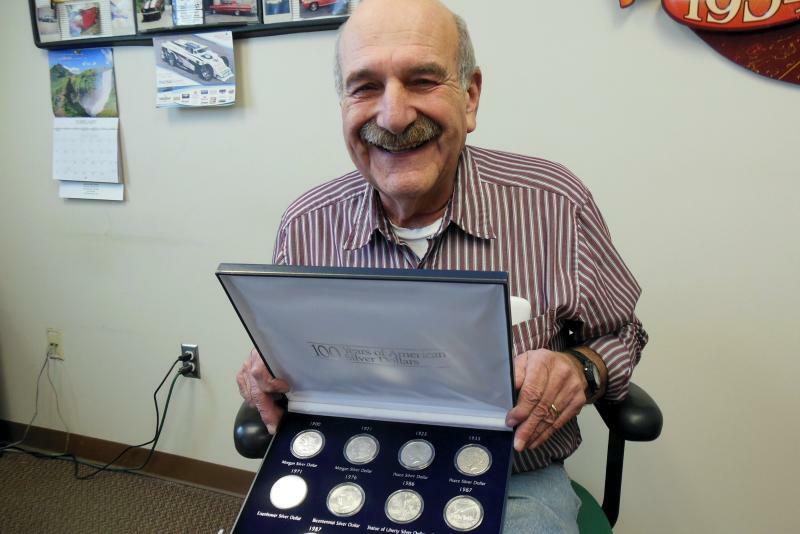 – Joe AKA The "Wyoming Riddler"
Every winter, hundreds of people living around Grand Rapids go on a treasure hunt of sorts. They’ve been doing it for decades. Robert Lyons has been hooked on the treasure hunt for 25 years. Over the years, he’s taken his kids and even his grandkids. Lyons found the treasure once. He’s still got the newspaper clipping. “I think it says right on here, I got a 1997 champion cup, which of course is about as proud as you can get of anything,” Lyons said. His treasure also included 34 silver dollars and a complete set of silver tableware.